For some reason, I have really been into black and white lately. The colors together make such an amazing statement. I am drawn to the unlimited possibilities. Throw on a taupe cross body mini satchel or slip on some bright yellow pumps and it’s all to the good. Spice it up or lay it down, it doesn’t matter. 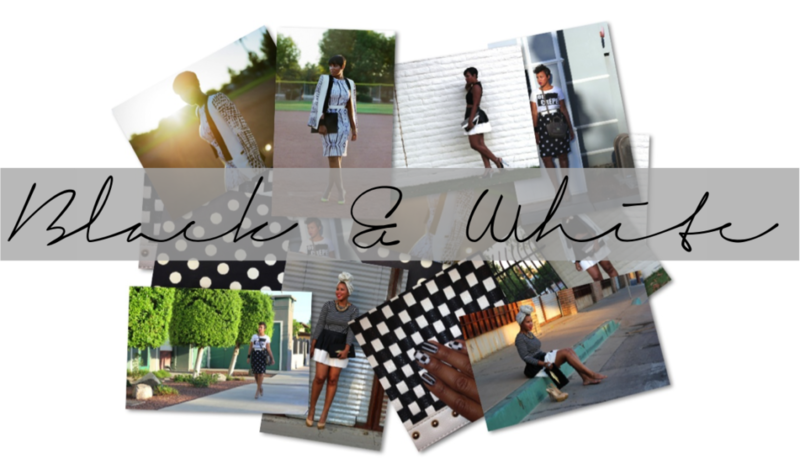 Black and white is here to stay and I am here for every little piece of it! Look 4 – Memo 083: Oh Crêpe! Are you feeling inspired? Check out the pieces below and get into it! Next Post Memo 100: Cafe, Oh Hey! I just can't choose, so I'm going for a tie between look 2 and 4! I love the look in Memo 088. It's how I found your blog. I concur with memo look 088! Those AM boots are delicious……………. GIRL! FLY! I think my fave is the dress with that tuxedo vest/jacket! WERK!